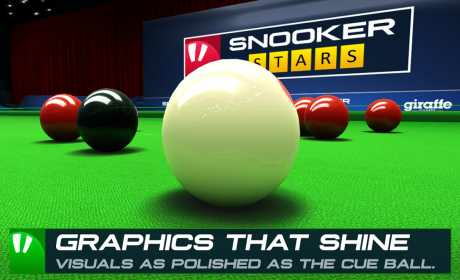 Try out the most realistic Snooker game on Mobile! It’s simple enough so anybody can play, but intricate enough that it will take you years to master! We have created a simple and accurate touch control system that gets out of your way and makes you feel like you are almost standing in the game. 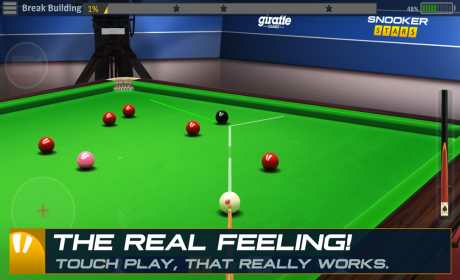 Playing a snooker game on a mobile device should feel natural, and recreate a feeling that you are standing in the snooker arena. Try it out, it feels like being in the game! Physics is the beating heart of any Snooker game or Pool game! This is why we built a revolutionary Physics Engine with only one purpose: To make sure that it can deliver the Real Feeling of Billiards. We challenge you to test it out: spin, cue action, breaking the balls, shots off the cushions. It behaves just like the real thing! It takes serious simulation of even the most tiny details to reach this level of Physical accuracy, and we are especially proud to be able to bring the next level pool physics to your mobile phone! 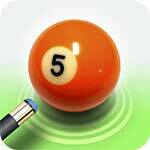 Practice your snooker game over a set of challenges that will refine your snooker skills to perfection! 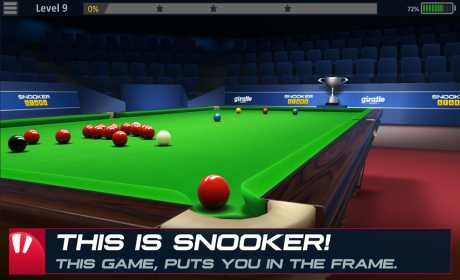 Challenge other snooker players Head-To-Head in Online Snooker games! Take your place in the weekly online snooker league competitions. Each online match takes you closer to the top place in the Snooker League! Create a Snooker club with your Facebook friends, and challenge them for the title of Snooker champion on every challenge in the career! Bragging rights with some fantastic trick shots, and some high breaks in the process. The feel of the room, the shininess of the polished balls, the fine wood of the snooker table, this is the atmosphere that a snooker star experiences. It’s time to put on your polished shoes and a bow tie and become part of the Snooker action! Download Snooker Stars now and have fun! 100% working on my S4. Unlocked sticks n unlimited energy.